Taking low-dose aspirin, on a daily basis, as a preventive measure for heart attack or stroke among older adults is no longer recommended, experts at the American College of Cardiology (ACC) and the American Heart Association (AHA) have revealed. 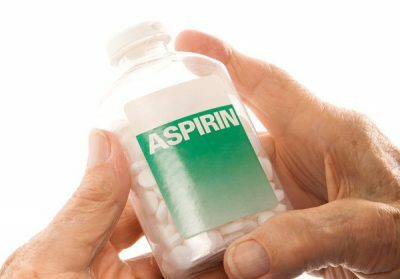 Before now, doctors have often recommended and endorsed the daily use of low-dose aspirin to prevent cardiovascular problems once a patient was over the age of 50. However, in a joint recommendation issued by the aforementioned cardiology groups on March 23, 2019, a reversal guideline has been suggested following the discovery that the routine might cause more harm than good if adopted under certain conditions. Most up-to-date researches, according to AHA/ACC, suggest that, even at low dose, the odds for dangerous bleeding accompanying daily aspirin use now outweighs any benefit the routine was previously believed to offer. They warned that the use of aspirin by older adults who have reported a low risk of cardiovascular (heart-blood vessel) disease— with no prior history of heart attack or stroke — heightens the risk of gastrointestinal bleeding. “Clinicians should be very selective in prescribing aspirin for people without known cardiovascular disease,” said Roger Blumenthal, doctor and co-chair of the 2019 ACC/AHA guideline on primary prevention of cardiovascular disease. Although they agreed that the use of aspirin and other blood-thinning pills for patients who have troubles lowering blood cholesterol or controlling blood sugar “can be lifesaving”, the groups noted that a healthy lifestyle is the most important way to prevent the onset of cardiovascular disease, heart failure, and atrial fibrillation.